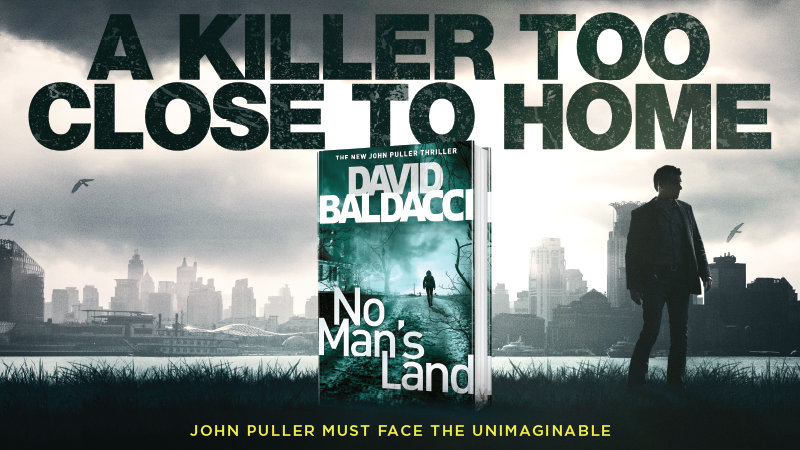 David Baldacci tells us what prompted him to create John Puller and the inspiration for his new novel, No Man's Land. What prompted you to create the character of John Puller for Zero Day – did you want to write about somebody who was a different type of hero from your other series characters? My dad was in the Navy and all my uncles were in the Armed Forces. Many of my friends are in the military and I’ve long been fascinated by that world. Creating John Puller allowed me to explore this brand new world and concoct a character in uniform. Writers need to keep things fresh, and striking off in new directions allows you to do that. What was the inspiration for No Man’s Land? I’ve always been intrigued by the confluence of ethics and technology as applied to humans. No Man’s Land allowed me to write about this in a particularly dramatic way. It also allowed me to explore in greater depth John Puller’s history. We find out a lot more about Puller’s family background in No Man’s Land. Is it important to you to deepen the reader’s understanding of a series character as the series progresses? And do you know everything about Puller, or are you “learning” about him too as you go along? The main reason to have a series is that it allows you additional pages to broaden and deepen a character, and that has been the case with Puller. In each book we’ve learned a little more about him and his family. In No Man’s Land, we go back into his past where he has to confront many painful demons. I’m finding out new things about Puller along with the reader. That makes it fun for me! And writers just want to have some fun, too! Much of the book follows the perspective of the “monster” Rogers. Did you enjoy creating this character, and do you think it brings more depth to the book to write from the perspective of somebody other than the hero? A great challenge for a writer is to make a reader start to mistrust his/her conclusions about a character. Early on it would be tempting for a reader to place Rogers in the “monster” box. What I tried to do in this book was redeem a character who, at first blush, seemed totally irredeemable. I live in the world of gray in my books. No totally evil people and no knights in white shining armor. We all have dings. Do you interview a lot of people as research for your books and is your legal background good preparation for doing that? I always do an abundance of research for each book, and this one was no exception. I went all over Fort Monroe because so much of the book is set there. I like to see and experience things for myself without a buffer. Being a former lawyer certainly helped me do that. You publish two novels a year these days, what drives you to write so much? I simply love to write and come up with stories. It’s never been a job for me. I spent years of my live writing for free. I can’t imagine a day where I’m not creating something. It’s as natural to me as breathing. You write several different series, how do you decide which character(s) to write about when you start each book? Do you miss them/think about them when you’re writing about other characters? I generally think about where I want to take a series character and then craft a plausible plot around him or her, taking into account stories that will fit that character as I’ve developed it. I do miss the characters when I’m not writing about them. They’re very real, at least in my head. You’ve sold more than 110 million books, why do you think your books have struck a chord with so many readers? I write about universal themes that people from all walks of life can relate to. And I think I know how to tell a good story. That keeps people coming back book after book. What’s next for John Puller, and for David Baldacci? Puller will be back in more books, that I can guarantee. He has a lot of gas left in the tank. I’m just finishing up a new thriller that will come out next spring titled The Fix and starring my “memory man,” Amos Decker.